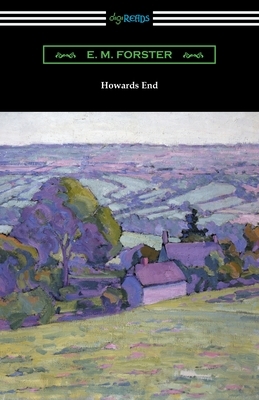 First published in 1910, "Howards End" is E. M. Forster's classic story regarding social conventions of different strata of English society at the end of the 19th century. The story centers around three families; the Wilcoxes, a wealthy family who made their fortune in the American colonies; the Schlegels, three siblings, Margaret, Helen, and Tibby, who represent the intellectual bourgeoisie; and the Basts, a young struggling couple from a lower class background. The Schlegels are lively socialites whose spirited and active lifestyles bring them by chance into contact with the Wilcoxes and the Basts. Through the entanglement between these three families, Forster masterfully depicts the struggle between the upper and lower classes that would dominate England at the end of the 19th century. Forster drew upon memories of his childhood home, Rooks Nest in Hertfordshire, for the titular Howards End, a country estate of the Wilcoxes where part of the story takes place, and whose ownership comes into question when the Wilcox matriarch, Ruth, makes a death-bed bequeath of the estate to Margaret Schlegel. The fate of Howards End, and the lives of the family's affiliated with it, is brilliantly represented by Forster as a parallel to the fate of English Society itself at the turn of the century. This edition is printed on premium acid-free paper.